Southeast Asia is full of hidden treasures. Sail in style across the region’s exotic waterways and be mesmerized by the sweeping sceneries and alluring blend of colors and contrasts along the way. Whether you travel aboard a regal replica steamer or a small elegant boat, a luxury cruise will be an unforgettable 16 day journey through the top attraction of Myanmar and Vietnam. The tour could be customized to your own travel interest. Please contact our travel consultant for more details and the best offer. Mingalabar! Your guide will welcome you at the airport and you driver will take you directly to your hotel. Head to the airport for a flight to Mandalay. Upon arrival, drive to Amarapura – famous for Mahagandaryone Monastery, Amarapura is the best place to see how monks live in Mandalay. Walk over Ubein Wooden Bridge, the longest teakwood of its type to Mahamuni Image – a bronze Buddha image castled during the lifetime of Buddha himself. Enjoy breakfast at hotel then check-out. Our driver will transfer you from hotel to Shwekyetyet Jetty for your cruise down the Irrawaddy River. Embarkation time is 10:00. Welcome Drink and briefing. Sail upstream for about one and half hour we arrived at the Mingun Pagoda Complex. Well known short trip to see the unfinished pagoda, the Mingun Bell, weighting 90 tones and the biggest hanging undamaged bell in the world and the “Home for the Aged”. After lunch on board and continues downstream to Sagaing for a visit. Back to the board and sail downstream. Enjoy the sunset over Sagaing Hill. Moor overnight at a sandbank mid-stream. After dinner guests can enjoy a Traditional Dance (upon availability). In the morning, cruising downstream to Yandabo Village. Sightseeing Yandabo Village. Dependent on the base economy is famous for the production of terracotta from the riverbank clay. We see the pottery making process at various stages. Yandabo, historically recognized for the signing of the Yandabo Treaty which took place under a tree on the riverbank in 1826 between the British and Royal Burmese House-hold of Ava. Shore excursion time is 1 hour. Back to board and cast off. Continue sailing downstream and moor overnight at near Chindwin confluence. Our guide and driver will welcome you at the pier. Start your tour with a trip to the bustling Nyaung U Market in Old Bagan then explore the beautiful, gold leaf Shwezigon Pagoda and learn about Burmese Buddhist traditions. We continue our tour with a visit to Ananda Temple, stopping along the way on the Bagan plains to admire some of the surrounding temples. In the afternoon, take a tour of a local lacquer ware workshop and learn how this traditional piece of art is made. Upon arrival, board a motorboat for a sightseeing tour to the boat will take you to the beautiful temple of Indein, located on the hill overlooking the lake. It is relaxing to walk along the corridors and enjoy the giant columns that have been left to the nature for centuries. Then visit Phaungdawoo Pagoda, famed for its richly gilded five small Buddha images and believed to be the holiest pagoda in Inle Lake. Our next stop is Ngaphechaung Monastery, known as “Jumping Cat Pagoda”. As you travel closer to Nam Pan Village, have a look at cotton and lotus weaving factories and cigar making houses. These sites will give you a true sense of traditional Intha life. Leave Inle Lake for Yangon. Spend a full day exploring Yangon and its highlights from Sule Pagoda, in the heart of Yangon city; Chaukhtayi Pagoda and Kandawgyi Lake. After lunch, discover the most outstanding pagoda in Yangon: Shwedagon Pagoda. The “Golden Pagoda” is really a must see while you are in Myanmar. Enjoy some shopping in bustling Scott market (close on Monday). Enjoy breakfast at hotel before farewell with Myanmar for your flight to Saigon. Welcome to Vietnam’s financial hub: Saigon (Ho Chi Minh City). Arrive in the afternoon and enjoy an orientation tour through Saigon’s bustling streets en route to the hotel. After breakfast at hotel, set out on a guided city tour. Visit the War Remnants Museum, learn about Vietnam’s recent history at Reunification Palace, visit the nearby neo-Romanesque Notre Dame Cathedral and the City’s Centre Post Office before passing by the ornate Opera Theatre and the City Hall. Finally, end up at the Ben Thanh Market, where vendors display a vast array of goods and handicrafts, appealing to every taste. After lunch, you travel outside of Saigon to visit the Cu Chi Tunnels. The Cu Chi Tunnels are an underground labyrinth of passageways, used by the Viet Cong during the Vietnam War (or “American War” as it’s referred to here) as protection against American air raids. Those inclined are invited to crawl through selections of the tunnels to better understand what life was like for the Vietnamese soldiers during wartime. 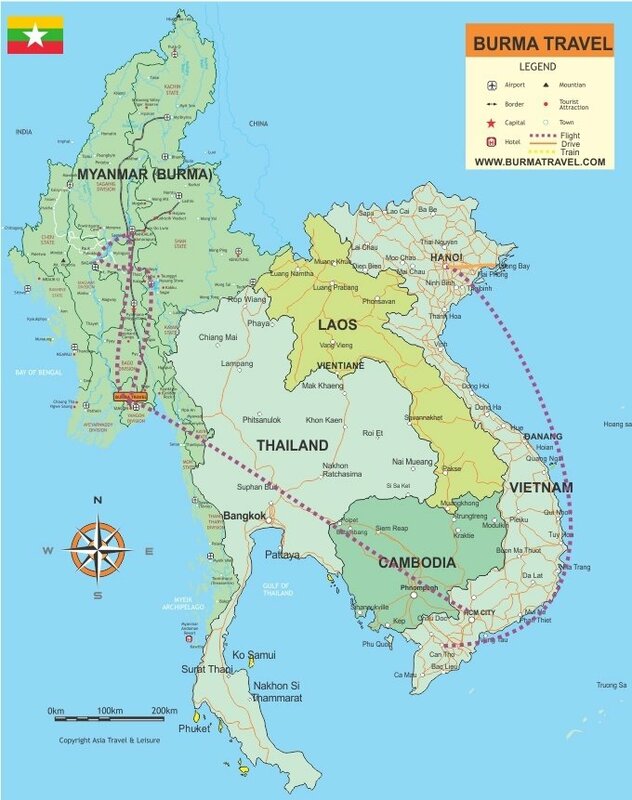 Today you leave Saigon and travel to the Mekong River Delta. 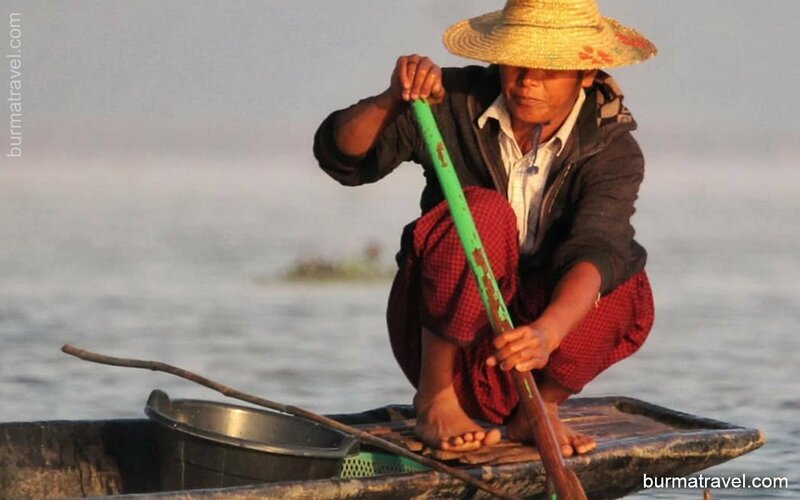 Transfer to a local boat for an extensive visit of Cai Be: the floating market, the mazes of waterways, local pop-rice and sweets production. 11:00 Disembark in Can Tho. The cruise concludes. 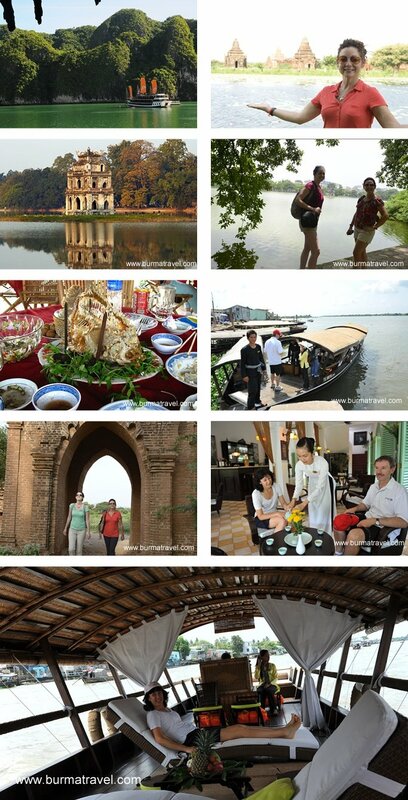 You are free to discover the town before transfer to Can Tho airport for your flight to Hanoi. Upon arrival, get transferred to your hotel in the city center. Free at your leisure. Today you have a full day to explore Vietnam’s charming capital. With its wide tree-lined boulevards, French colonial architecture, peaceful lakes and ancient oriental pagodas, Hanoi is an eclectic mix that offers something for everyone. Your city tour will take you to Hanoi’s key sites: the Ho Chi Minh Complex (Ho Chi Minh’s Mausoleum and stilt house), the Presidential Palace, the nearby One Pillar Pagoda; the Temple of Literature; West Lake including the sedate Tran Quoc Pagoda & Quan Thanh Temple; and one of the city’s museums (a choice between the History Museum and the Ethnology Museum). Later in the afternoon, enjoy a traditional Water Puppet Performance – a unique folk art that originated a thousand years ago during the Ly dynasty. A water puppet show depicts the daily activities in Vietnamese rural life as well as important historical events and ancient legends. Each water puppet is hand-carved and given five layers of lacquer paint to protect the puppets from the water and to add vital colors to the performance. Have breakfast before setting out on a 3 to 4 hour drive to the UNESCO World Heritage site: Halong Bay. Here you will spend 24 hours on a traditional Junk Cruise in the amazing Halong Bay: a natural wonderland composed of jutting limestone islands and sparkling turquoise waters. Arrive at the dock around noon and board your junk. Savor a gourmet lunch of fresh seafood onboard as we sail out into the mystical bay. 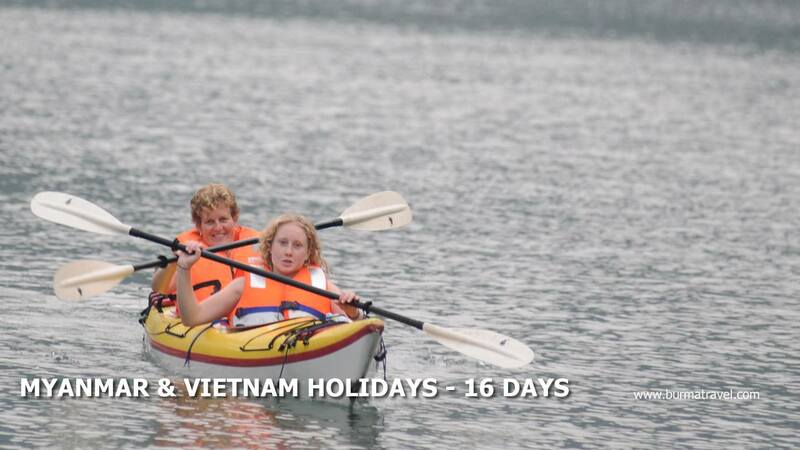 In the afternoon, we will cruise around some of Halong’s numerous islands. We will visit one of the most beautiful caves on Halong Bay. Stop at an island cove with a sheltered white-sand beach and take a dip in the warm waters of the Gulf of Tonkin (weather permitting). Spend the night on the junk lulled to sleep by the gentle rocking of calm waters. Good bye & Bon Voyage!